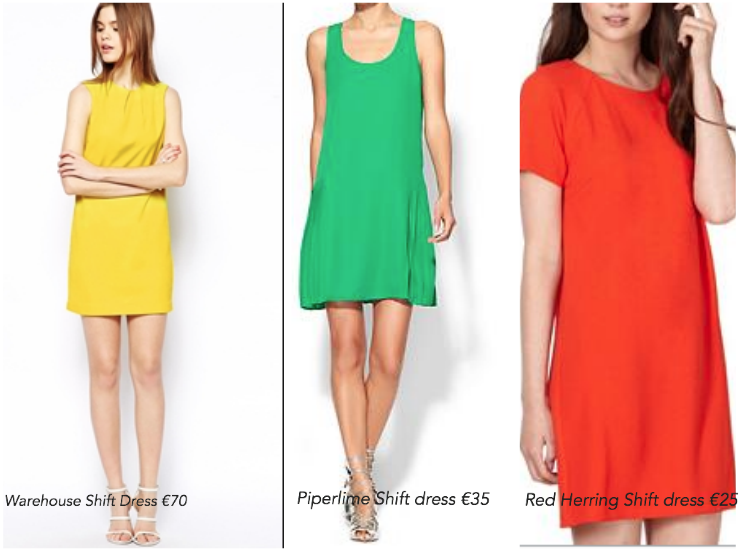 This Spring all bright colors are very trendy. I choose 3 runway looks from Ralph Lauren. I love the brand because it's really classic and preppy. 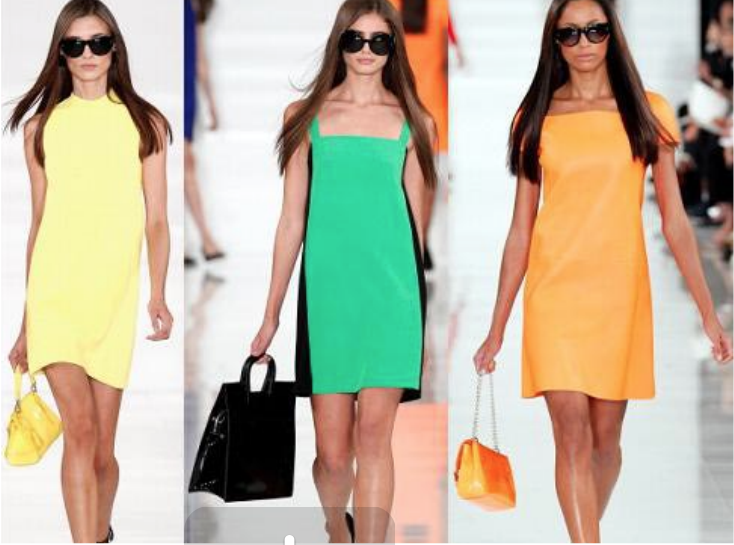 The runway looks are 3 colored shift dresses. Shift dresses look always good when it's nice weather. In combination with a statement necklace and some heels your outfit is complete! I wanted to find some dresses that look almost similar with the runway dresses, but more affordable. Thanks for reading! Which dress do you like the best?